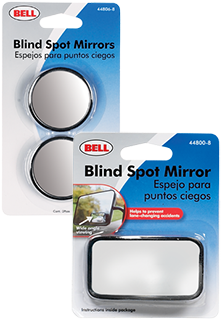 Blind spots are always an issue when driving... well not anymore with our blind spot mirrors you can eliminate the blind spots and help navigate more smoothly on your drive. We have several shapes and sizes, adjustable and non adjustable. Come and see and get yours now! We have the lowest prices in the nation. GUARANTEED!